You may have noticed that probiotics have become more popular and are now being added to a variety of foods, snacks, beverages and supplements. While buying probiotics in a supplement form is a great way to get your daily dose, did you know that there are foods that naturally contain probiotics as well? Your gut contains over 1 trillion bacteria, which equals about 3 pounds! This is a big reason why gut health is so important. Our bodies are full of both good and bad bacteria. Throughout our life as we eat a processed western diet and possibly take antibiotics, our gut can become naturally depleted of good gut bacteria. We need good gut bacteria because it helps the body fight yeast and fungi and create enzymes to destroy harmful bacteria. Strong gut health also contributes to our immune health, in fact 70% of your immunity is located in your gut! Healthy gut flora can help eliminate bad bacteria and regulate inflammation. 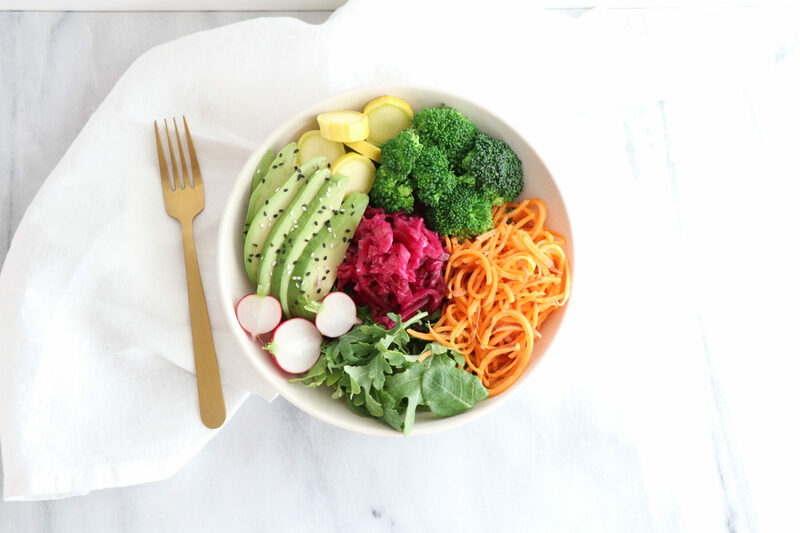 READ MORE & GET MY PROBIOTIC BUDDHA BOWL RECIPE HERE! As many of you know I’m a recipe contributor the The Inspired Home website. This is a recipe I created for that site! I like to share the recipe links here on my blog as well for your convenience if you’d like to try this recipe. Enjoy!